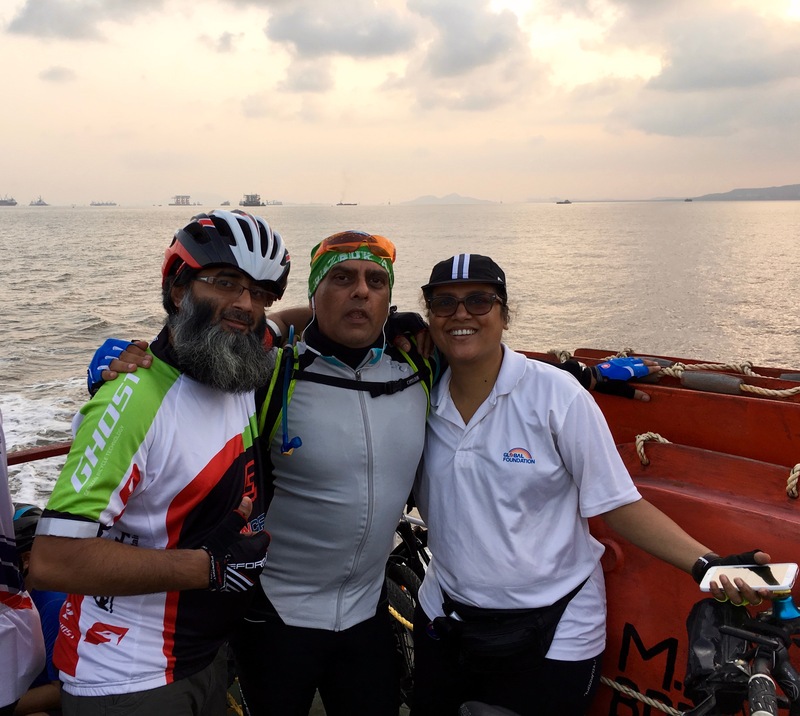 Last week Faisal posted a ride that promised to be a challenging one. 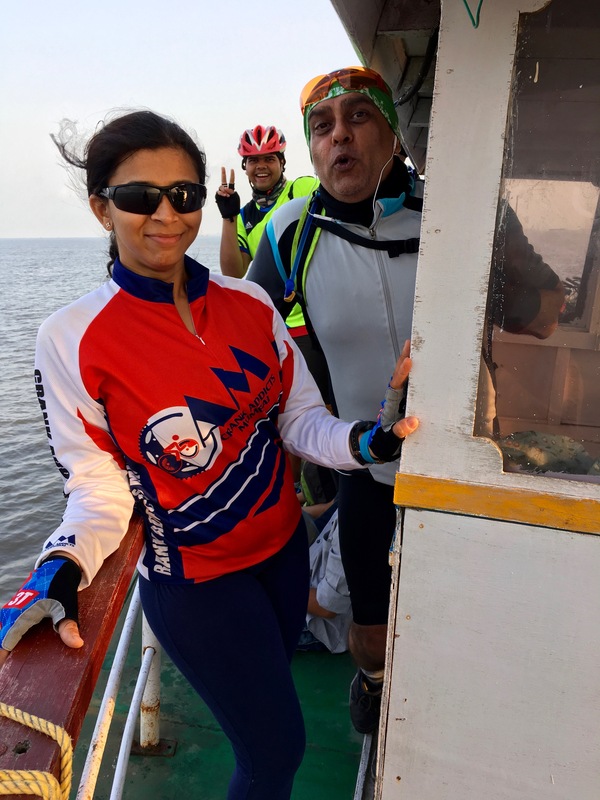 Now I’m all for challenges and the promised bicycle ride to Kashid, ahead of Alibaug did fall in the challenging category. No so much for the distance, but due to the fact that I did intend riding back despite the heat, being summer and all. If wisher were horses, beggars would ride, Right? 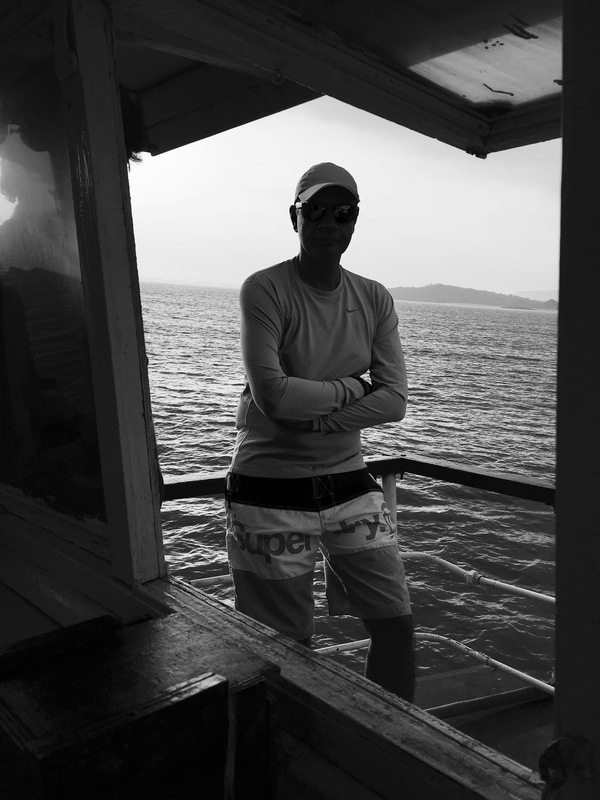 All set and gung ho I was, when I saw the FB update…. RIDE CUT SHORT and now it’s just Alibaug! Man oh man was I pissed! WTF! Headed over to Faisal’s at Pro9, and cribbed like mad. Didn’t Rufina call you, goes Faisal? Well The said Rufina (my dear dear friend Rufina) had called earlier in the afternoon, and I suspect ’cause she know that I would be upset. She explained why, and the like, and being a gentleman (noblesse oblige you see), could not vent at her, therefore, The Faisal go it, double barrel, right between the eyes. Clearly I hadn’t heard a word Rufina had said. Now that wasn’t enough either, so I go and post on FB….DISAPPOINTED, changing plans last minute is just not done, I’m opting out, popular vote of the rest of the riders be dammed. Anyhow, I finally eat humble pie, and decide to go. Ah mean, popular opinion, and I’M not consulted. How dare!!! So I wake up late (as usual), and tell The Faisal, that the others should ride on ahead and I will catch up at the Gateway Jetty at 6 am. Ride like a madman I did (full shortcut, aka cheating), reminiscing that last year I was also late, and ended up taking the ferry, 45 minutes later! Then having to ride like my tail’s on fire to catch up the the larger group. Don’t be late Sumir, you’re pushing the wrong side of 50, the old ticker isn’t as strongly a’ticking as it used to. So we all assemble and get onto the boat, slippery steps and all, and load ourselves and our bikes onto the ferry. By now the mood is just fine, given that I’m with the cycling buddies, and we are all fun and laughter on the upper deck. The departure from the harbor early AM, leaving the hustling and bustling metrop is always breathtaking. Ships awaiting berth at the outer anchorage, offshore supply vessels, drilling rigs, fishing boats, leisure craft, the rising sun, clouds, all contribute to the feeling that yes, we are headed out on some adventurous getaway. Chai, great company, excitement, scenery, just chilling on the upper deck is just a fantastic combination to lift the spirits and wish this could be the life day in and day out. That’s my dream by the way, to divest this year or the next, stop working on a daily basis. 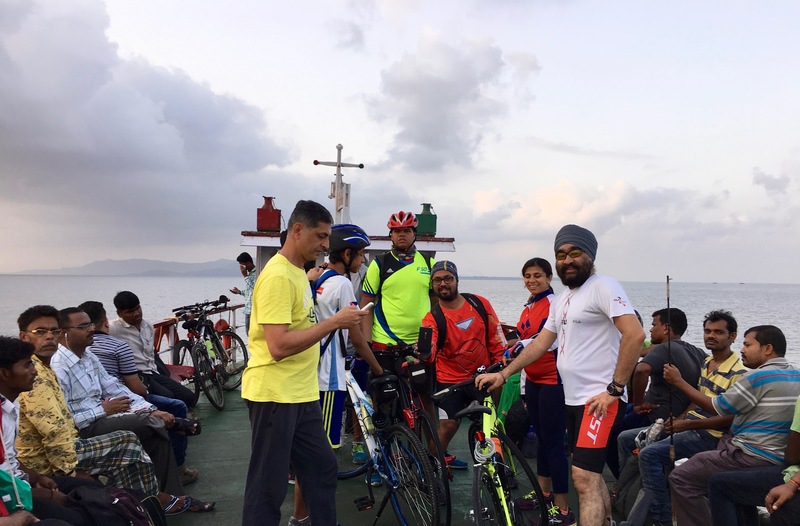 Just turn consultant, and follow my passion, cycling across India and maybe around the world. 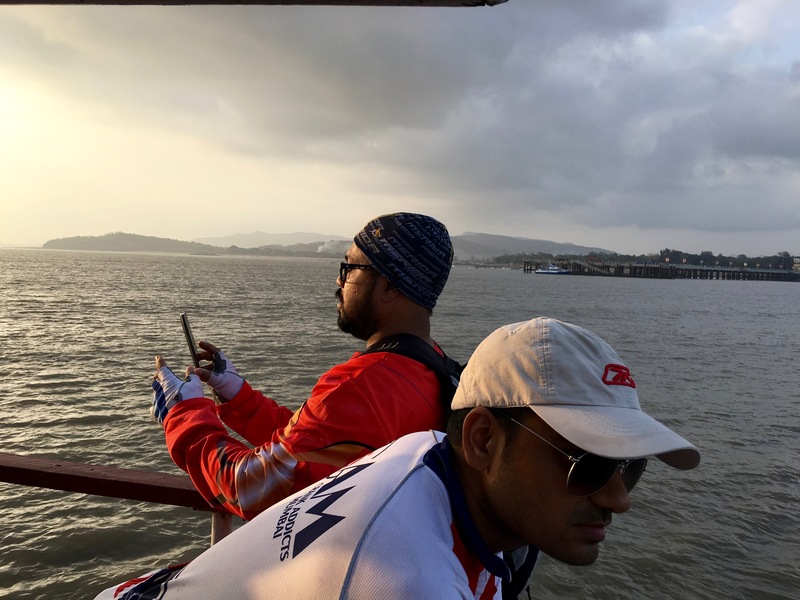 One final inspection to check if we are headed in the right direction and all’s well as we approach the Mandwa Jetty across the sea. 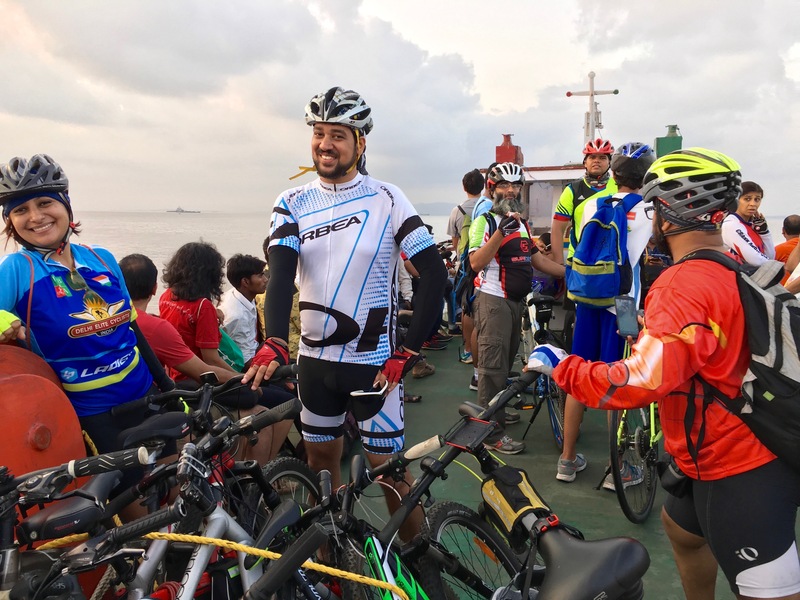 Offload the bikes, climb the rather steep and slippery gangway, and we are good to commence our ride, but not before we take a few pictures of the pack, some who make dire threats, lest the are left out of the photo ops. The piece d’resistance is the photograph of the group, all colors and hues. Yes we cyclists like to look good and put on a show. We are the brand ambassadors you see. What follows next is worthy of independent mention, and therefore my dear audience, I must say, you will have to await Part 2, of this report. You are a good story teller Sumir! I loved recalling the ride so far….waiting for part 2! !